The UK Royal Navy’s Type 23 Duke-class frigate HMS Iron Duke (F234) has been installed with BAE Systems’ Artisan medium-range 3D surveillance radar, as part of a five-year refit programme. A £100m programme was initiated by the UK Ministry of Defence (MoD) to integrate the Artisan radar system onto the Type 23 frigates, amphibious ships and the new Queen Elizabeth-class aircraft carriers to provide air traffic management capabilities. BAE Systems maritime services managing director Rory Fisher said: "BAE Systems is playing a key role in helping the fleets of the future evolve to meet the ever-changing demands of the battlespace, creating technology solutions that are quicker, lighter, more resilient and easier to implement than ever before." 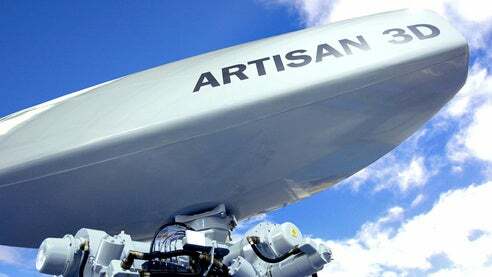 Prior to placing it on the ships, Artisan radar completed extensive trials and demonstrated its capabilities in an anechoic chamber, and also conducted linking trials at the land-based test facility. "BAE Systems is playing a key role in helping the fleets of the future evolve to meet the ever-changing demands of the battlespace, creating technology solutions that are quicker, lighter, more resilient and easier to implement than ever before." Once deployed, the surveillance radar featuring anti-jamming capability will enable the ship to simultaneously detect more than 800 objects, travelling at a range of between 200m and 200,000m. Capable of operating under adverse electronic signal interference, Artisan offers accurate surveillance and tracking capabilities by detecting targets as small as a tennis ball and moving at three times the speed of sound at a distance of more than 25km away. The navy is also planning to equip the radar on the new Type 26 frigate, which are scheduled to be operational after 2020. Capable of accommodating a crew of 185 the 133m-long Duke-class frigates have been designed to provide anti-submarine warfare (ASW) and anti-surface warfare (ASuW) capabilities. Following the completion of the modernisation programme, performed to ensure its operational capability, HMS Iron Duke will rejoin the service in 2014. Image: BAE’s Artisan 3D medium-range radar Type 997. Photo: courtesy of BAE Systems.